Closing is when the title to the property is conveyed to the buyer. While closing costs are the expenses, over and above the price of the property, that buyers and sellers normally incur to complete a real estate transaction. 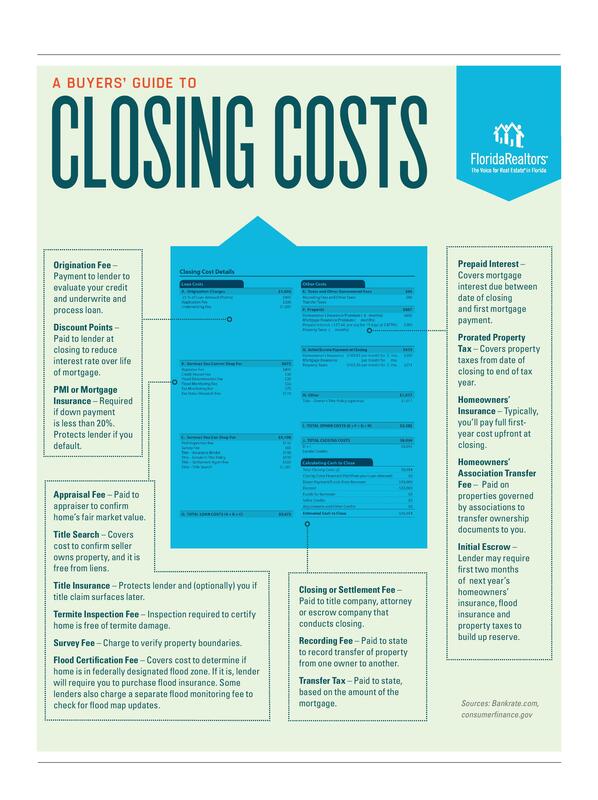 Closing costs vary widely based on where you live, the property you buy, and the type of loan you choose. Here is a list of fees that may be included in closing.